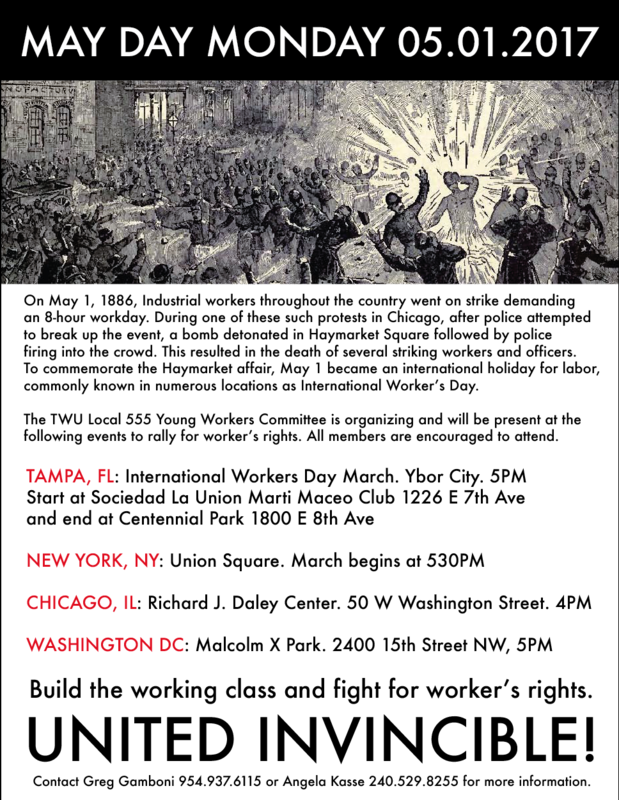 This entry was posted in Committees, Event and tagged BWI, DCA, IAD, ISP, LGA, MDW, TPA, Young Workers Committee on April 27, 2017 by TWU Local 555. District 6 Representative Tyler Cluff recently visited ABQ and LBB with his unusual brand of grievance negotiation tactics. District 1 Representative Morial Hayes recently visited EWR and LGA. District 8 Representative Abilio Villaverde recently visited OAK, DEN, and along with Vice President Cort Heywood, will be in PDX for a visit on Monday, June 27th. This entry was posted in LEB and tagged Abilio Villaverde, ABQ, BNA, Cort Heywood, DEN, EWR, Greg Puriski, John Spencer, LBB, LGA, Morial Hayes, MSY, OAK, PDX, SNA, Station Visits, Tony Slavings, Tyler Cluff on June 24, 2016 by TWU Local 555.